ISSAQUAH, WA - This time of the year, everyone is trying to get a piece of pie—and in this case, the pie is not just a slice of heaven you shove in your mouth to avoid conversation with your weird Aunt Sally at holiday gatherings. We’re talking about the lucrative pumpkin sales pie folks, and one retailer that has grabbed one of the biggest pieces is warehouse chain Costco. According to an article by Business Insider, Costco sells a whopping 3.4 million pumpkins every year. Its secret? It’s all about the pie, baby. 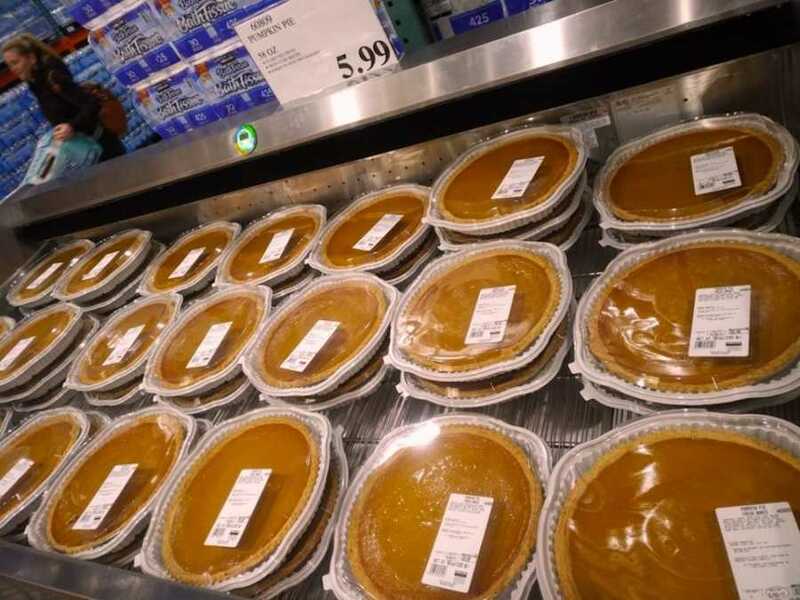 Costco Connection’s most recent sales data clocks the number of pumpkin pies sold during a year at a jaw-dropping 5.3 million. And because Costco only supplies its pumpkin pies from September to December, that boils down to just over 1.3 million pie sales a month. If that sounds like a lot pie (it is), let me blow your mind again—1.75 million of those pumpkin-packed treats are sold in just the three days before Thanksgiving. Have you grabbed yours yet? To make this number possible, Costco works with its pumpkin suppliers starting as early as spring, according to the report. It reportedly takes 3.4 million pumpkins to make those 5.3 million pies, so knowing the number of fields you need to plant as a grower is key to making sure each and every table gets graced with the seasonal delicacy. What makes Costco’s pie so craze-worthy? Costco Connection credited the secret recipe to Sue McConnaha, the warehouse chain's VP of Bakery Operations, who created it in 1987. May I extend a personal thanks to Sue, my new personal hero and patron saint of the Costco pumpkin pie legacy.